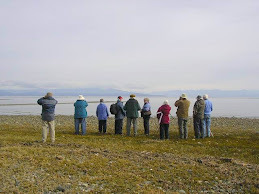 The Sunday bird walk went to the Shelly Road side of the Englishman River Estuary in Parksville. The morning was cloudy with calm winds. We watched a pair of Ruby-crowned Kinglets building a nest near the trail. A large raft of Long-tailed Ducks and Surf Scoters were seen offshore. A Western Meadowlark and a Yellow-rumped Warbler were seen and heard. 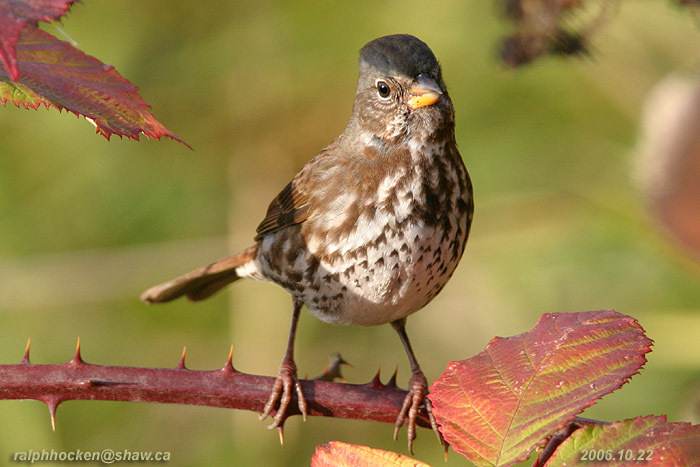 Fox Sparrow: Ralph Hocken Photo. Eight Red Crossbills are visiting a backyard feeder along Honeysuckle Terrace and Forest Drive in Nanaimo. A Rufous Hummingbird was visiting feeders along Bluebell Terrace and Meredith in Nanaimo. Nineteen Trumpeter Swans were seen flying above Long Lake in Nanaimo. Three Swallows were seen flying above Morrell Circle by Morrell Wildlife Sanctuary in Nanaimo. 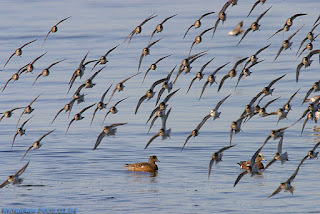 The Tuesday bird walk went to the Rathtrevor Beach Provincial Park in Parksville. The morning was cloudy with a calm wind off the Strait of Georgia. Light rain started just as we were finishing the walk. Over three hundred Dunlin, several Black-bellied Plovers and one Sanderling were seen feeding along the shoreline. Hundreds of Mew Gulls, California Gulls, Iceland (Thayer's) Gulls and Glaucous-winged Gulls noisily filled the shore all morning. A very large raft of thousands of Brant, Greater Scaup, Lesser Scaup, Surf Scoters, White-winged Scoters, Black Scoters and Long-tailed Ducks were seen further offshore. Pacific Loons and Common Loons were spotted even further offshore. 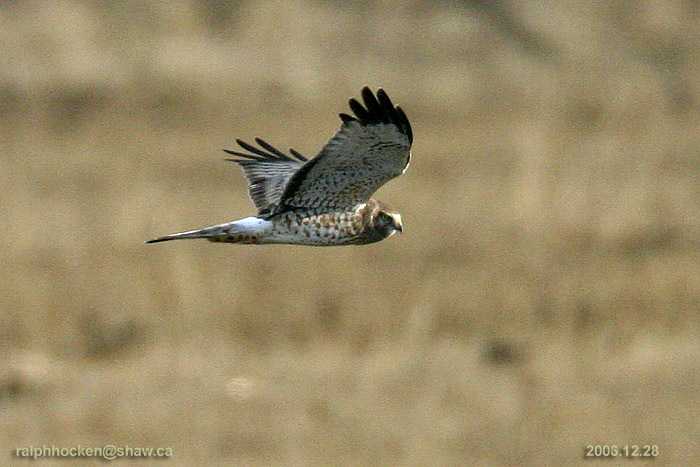 As we were doing the tally at the end of the walk a Northern Harrier did a fly pass! The Tuesday Bird Walk on March 20, 2018 will be going to the Little Qualicum River Fish Hatchery. Meet at the Parksville Community Park (near the Lions Club playground parking lot) in Parksville at 9:00 am, or at the Brant viewing platform in north Qualicum Beach at about 9:20 am. The Sunday Bird Walk on Marsh 25, 2018 will be going to the Bowen Park in Nanaimo. 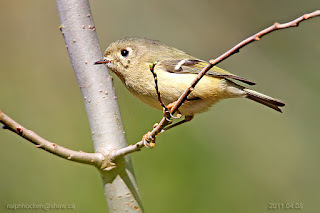 Meet at the Birdstore at 9:00 AM., or the main parking lot at Bowen Park near the bowling green of at about 9:20AM.